Identify your devices and variables simply with "friendly names" to fit your project nomenclature. Firstly, we need to discuss some important Ubidots definitions of device and variables to help steer this ship in the right direction. What is a Device Name? As the name implies this is the name of the device. You can assign and change the name to a more friendlier one as you see fit. What is a Variable Name? As the name implies this is the name of the variable. You can assign and change the name to a more friendlier one as you see fit. What is a Device Label? 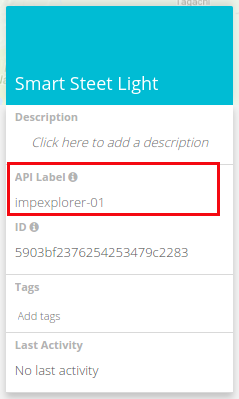 Also referred to as an API Label, the device label is the single and unique label of your Device that is randomly assigned to your device by Ubidots. Check out our API docs to learn how to send data to Ubidots using the device label. What is a Variable Label? 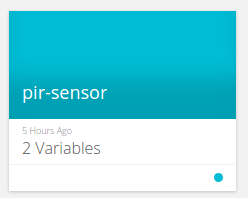 Also referred to as an API Label, this is a single and unique label of your variable that is randomly assigned to your device by Ubidots account. What is the Differences between Names and Labels? The device/variable name is show in your Device section of your Ubidots Application. It is recommended to adjust the Device and Variable names to fit the nomenclature of your project. 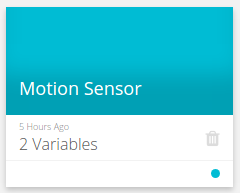 The device/variable label is the unique label identifying different devices and variables within the Ubidots time-series backend. In order for your device and variables to remain only yours, we assign each a specific code that is interpreted by Ubidots application as single and is unique to only one device and variable. This label allows you to transfer data between the device and ubidots. It is not recommended to change the Device Label or Variable Label as any adjustments to these inputs will result in errors and faulty data transmission between the device and Ubidots. NOTE: Make you sure your device is using the same label as the one on Ubidots, if not you will not be able to manage the data in your application. 1.- Go to the Device tab to see your connected devices. Here you can change the Device Name (not the device label), by clicking and highlighting the "pencil" icon, as shown below. NOTE: You can change the Device Name and Variable Name to a friendly nomenclature. The Device Label is not to be adjusted as this is linked to your coding. If you wish to adjust the Device label, you will need to modify the device label across all internal device firmware as well. This is not recommended unless you have experience with coding, Ubidots, and device integrations.